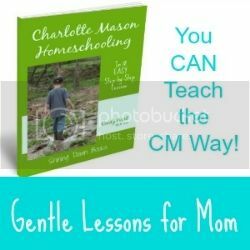 I’ve gathered a list of the best independent brain training games for kids to help you incorporate more brain building goodness into your homeschool. 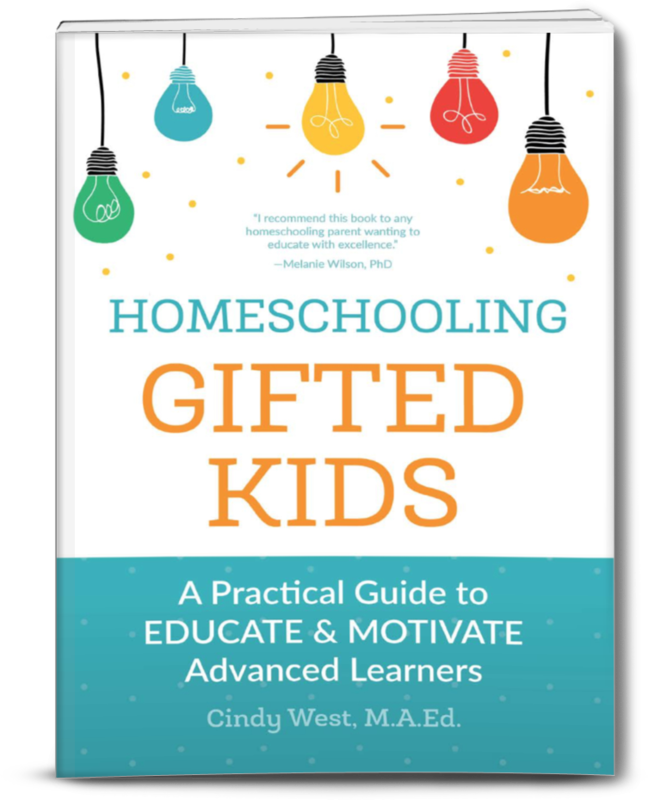 If you’re new to the discussion, take a look at my original brain training post where you can identify cognitive skills and learn more about getting an online assessment for your children. 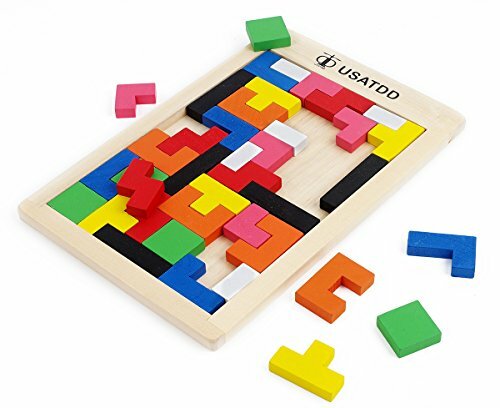 These brain training games are great because they cover so many angles of brain training – attention, memory, processing, comprehension and logical thinking. All of these aspects help mold thinking processes and provide them with the tools they need to think for themselves in a way that will resolve obstacles they encounter. 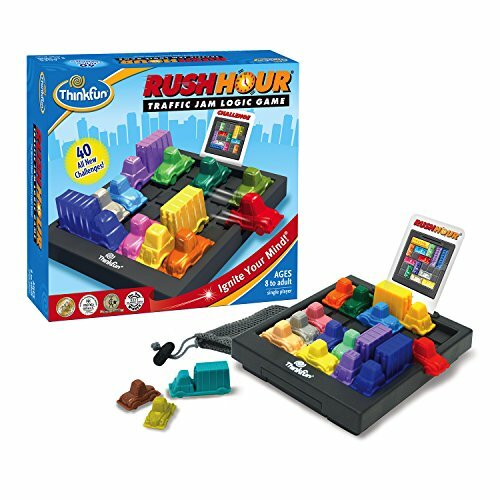 Another benefit of these brain training games is that they can be played independently, which make them great options for some solo learning time. Yay! 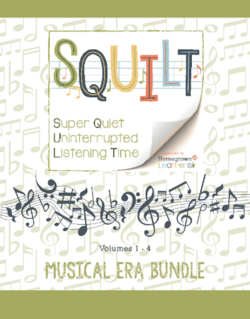 There are also a few that include travel versions which make them easy to take along and fill time that would rather be wasted on electronics or boredom. Another yay! 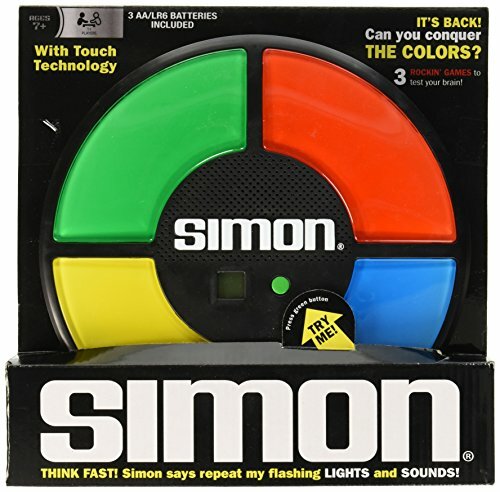 Surprisingly, Simon helps with several components of brain training including attention, memory, and processing speed. Plus… it’s wrapped up in a challenging games kids love. There are different versions of this classic game to choose from. A few of my favorites are the Classic Simon Game and Simon Air. You can also pick up the Simon Travel Game for when you are on the go. If you would like to focus on independent problem solving, this is the perfect game to play. If the basic game is too easy, try picking up these decks, Rush Hour 2 and Rush Hour 3, where the game becomes more challenging. 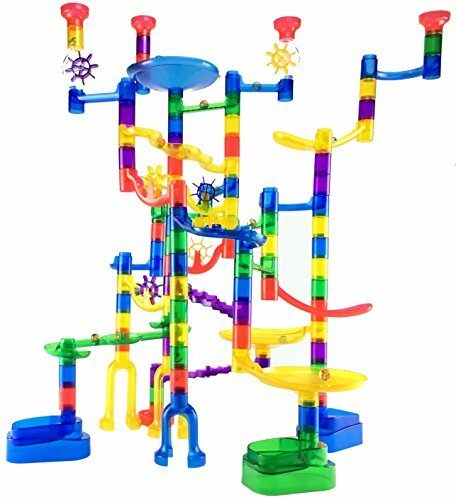 Kids can build their very own marble maze with this huge set. Building a marble maze helps kids with logical thinking. They can take a step back and learn how to problem solve if the marble doesn’t make it down the run all of the way. 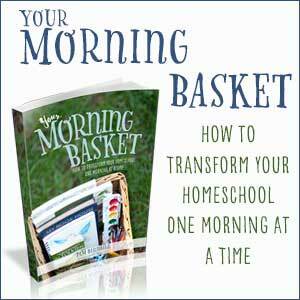 The ability to overcome setbacks is a great tool kids can use to find a solution. This attention grabbing brain training game will require kids to use their processing skills, comprehension, and logical thinking. It is also another great way to teach problem solving. How will all of those shapes fit? You can also use the shapes outside of the puzzle frame to create new shapes and designs. 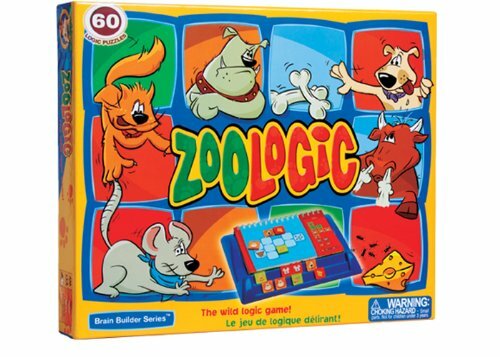 This fun game focuses on critical thinking skills. The goal is to keep the animals away from their predators. Will you kids be able to save the zoo single handed? 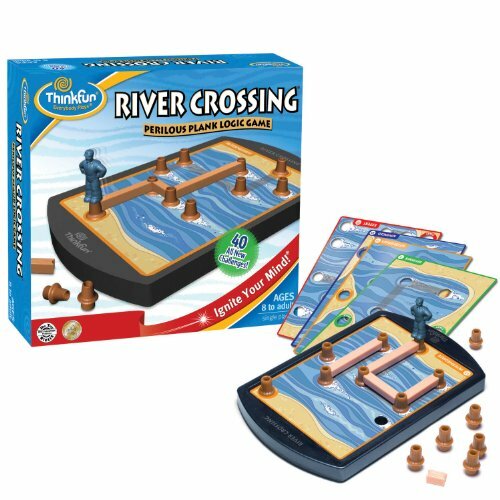 Thinking of a strategy to cross the river can be challenging, but that is exactly what we are looking for. Kids can challenge themselves with 40 different cards with a variety of difficulty levels. It also comes with a travel case. Perfect for all of those days when you are on the go. 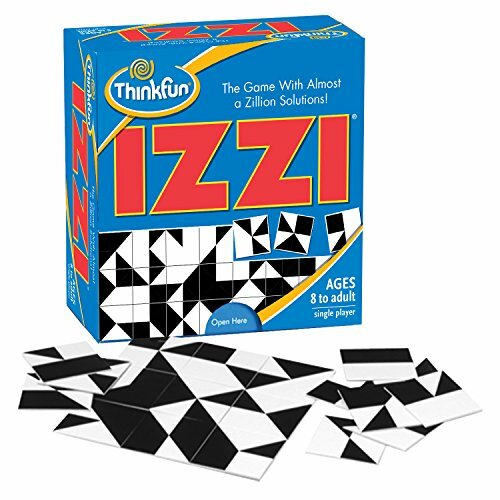 Known for the puzzle with almost a zillion solutions, this game challenges kids to use sixty-four tiles to build a square. With so many different ways to solve this puzzle it is full of endless challenges to problem solving, logic, and attention. Lets throw a little creativity into the mix with this brain training game. This set comes with three sets: Original, Action, and Voyage. 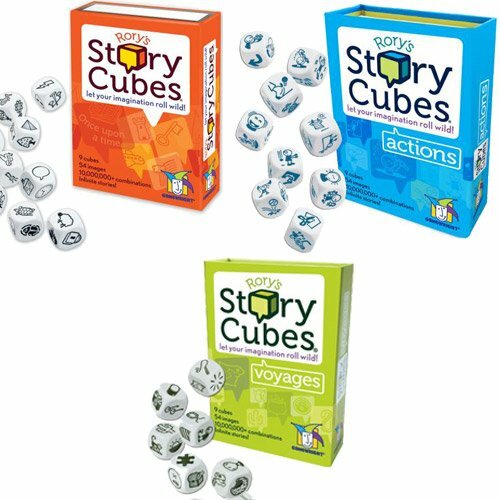 Use the dice and the cards to tell a story which sparks not only creativity but comprehension, problem solving, and attention. You can use the sets on their own, or combine them for even more options. 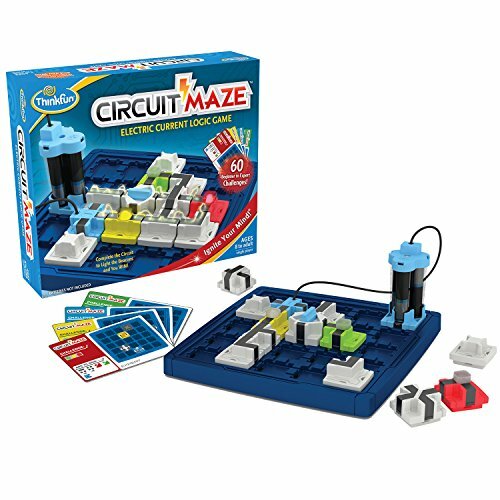 Kids can learn how to create a circuit and light up LED lights on the game board, all while using their logical thinking and processing skills. Great way to add some STEM into the brain training games. 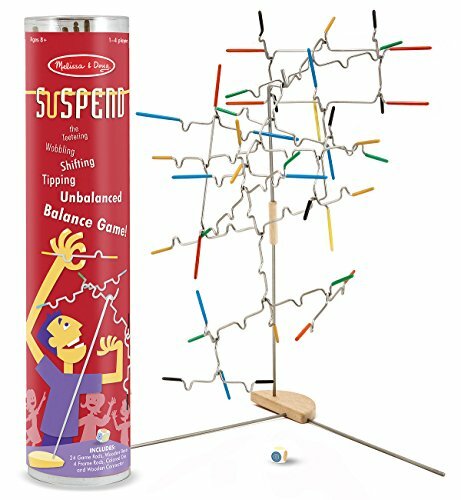 Balancing, coordination, and a plan will come in handy while playing this game. Kids can challenge themselves to build a tower that doesn’t fall down with pieces that balance against one another. 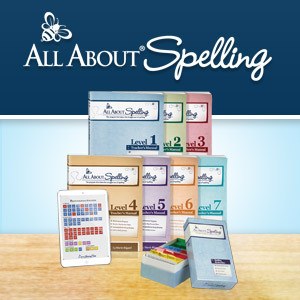 If your kids like to play Scrabble, this game is a great choice. 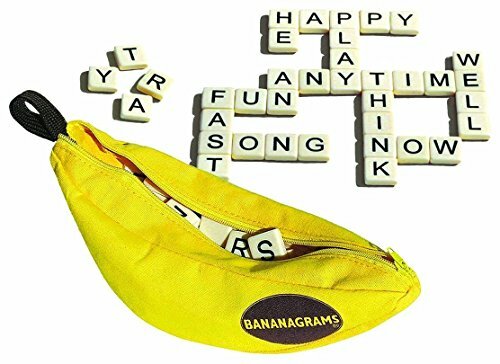 The tile pieces are kept in a small banana shaped zip up bag so this gem can be easily taken along with you. It challenges kids to learn how to spell different words while fitting them into a crossword puzzle. You could have them use this game to practice their spelling word lists. 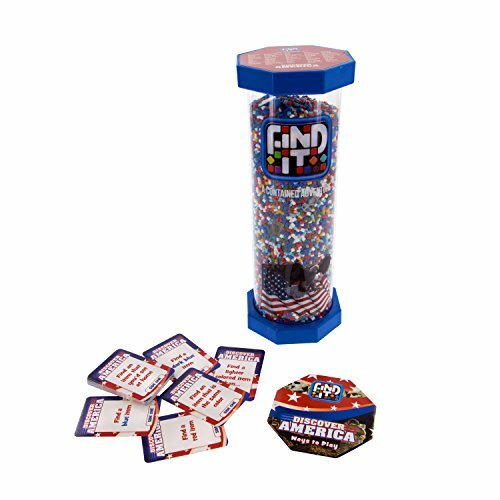 Children will need to focus when they challenge themselves to find the objects hidden amongst the colorful beads. There are a ton of different themes: At the Beach, Discover America, and Starry Night. These boxes continue to be a family favorite. 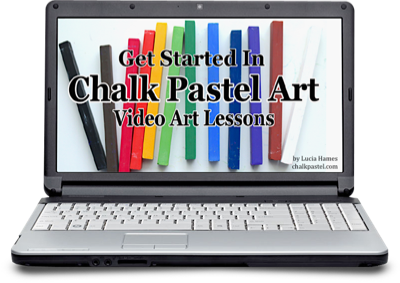 There are so many different subjects to choose from. 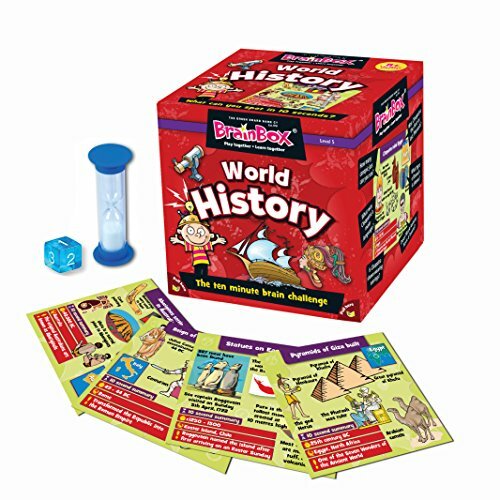 Two of our all time favorites are the World History and Nature themed boxes. 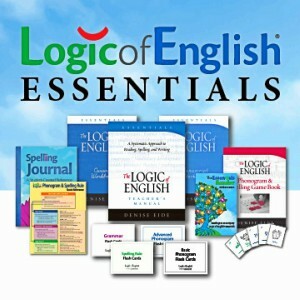 No matter what theme you choose, they are all full of facts that are fascinating to learn. 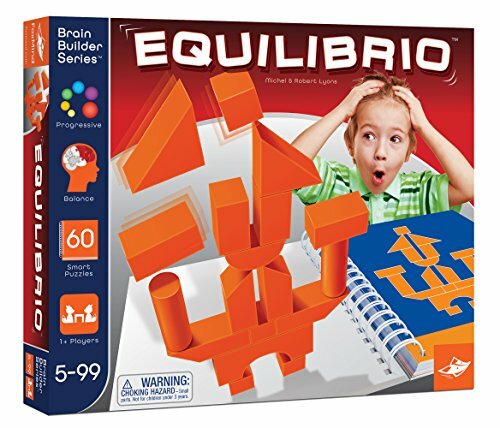 While the game cards may look easy to recreate with blocks, once you throw in the fact that you’re supposed to build the structures upward, this game adds the unique logical challenges of balance and architecture. If you think building 3-dimensional structures might be too challenging, your children can always recreate the game cards by building the structures flat as they appear on the cards. If you like the idea of this game, you’ll want to check out these three similar games with slightly different flairs: Architecto, Tangramino, and Perspecto. One of the logic games we’ve owned the longest is SET. 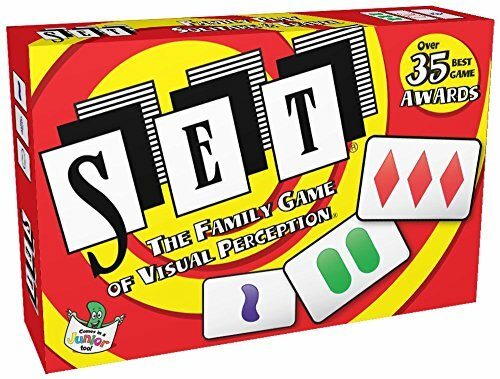 This simple card game is often played by more than one person as everyone races to make sets based on various characteristics first. However, it’s also easily enjoyed by one person. The only thing lacking is the competition of finding sets before anyone else. I find that playing alone encourages my children to think harder and learn to look for less obvious sets, giving them a leg up the next time they play with a group. By incorporating these independent brain training games into our weekly homeschool schedule, we bring fun and curiosity to the table – literally. I’ve told you many times before that brain training is fun. Now, you know that it can even be fun when practiced alone! 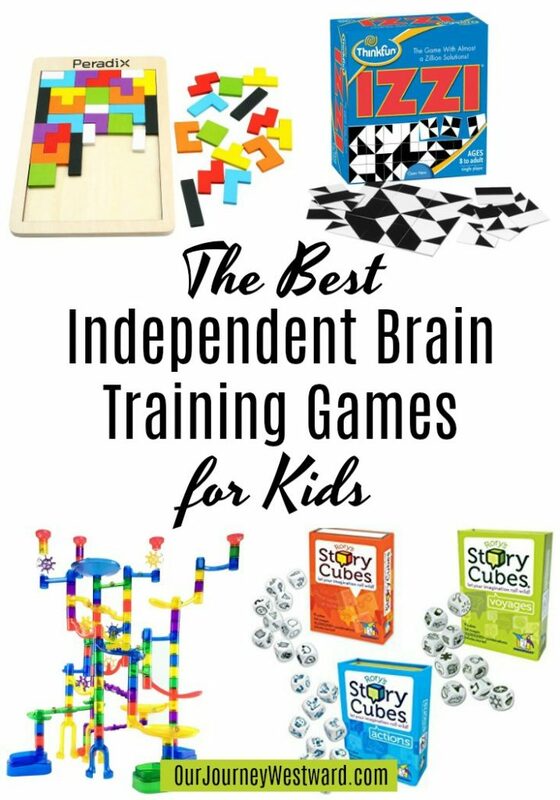 Are you ready to fill your game closet with some of these independent brain training games for your children? If you have any to add to the list, share them with me in the comments! 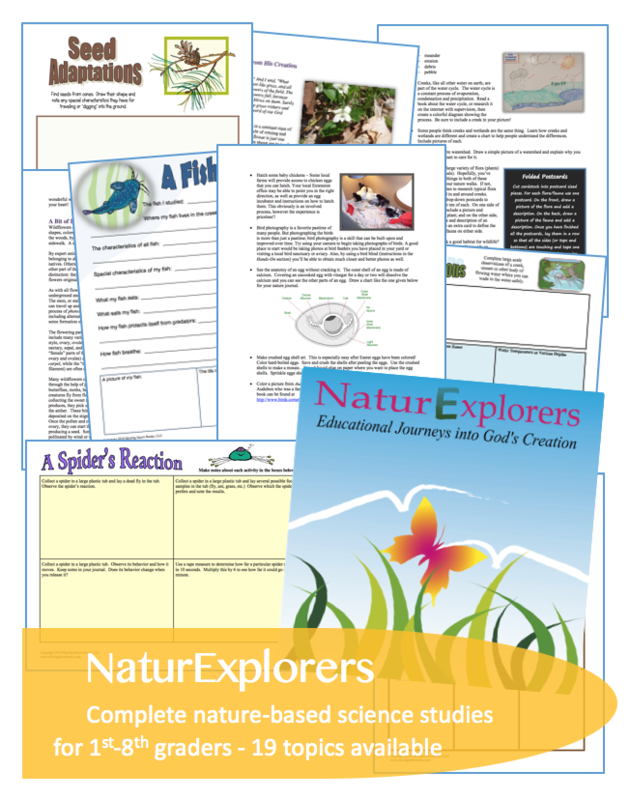 These are some great resources…good for kids and “older kids” (aka teens and parents!) alike! Thanks for putting this collection together, Cindy!